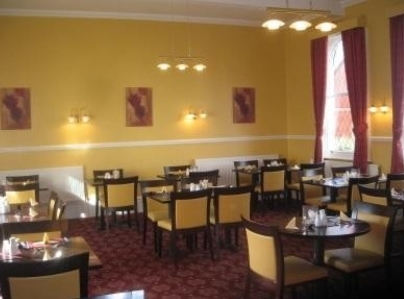 Situated approximately 1/4 mile from center of the market town of Worksop, the hotel is ideal for both business and pleasure and an ideal base to discover Robin Hood Country, The Dukeries, Clumber Park and Meadowhall to name just a few. The Lounge Bar is the ideal place to sit and relax and peruse the menu for the Restaurant, or to enjoy a coffee after your meal. A selection of five hand pulled cask ales are available These are changed regularly so call in and check what's on. Worksop, "Gateway to the Dukeries" is surrounded by many local attractions and The Station Hotel is an ideal base to explore these. A selection are described below. Click on the title or select 'more info' to find out more. 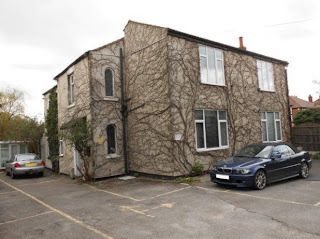 Appletree House aims to offer a home-from-home experience to all visitors to Cambridge. Whether you are here for a one-day meeting, a weekend break or a longer stay, we want to make your time with us as comfortable and relaxing as possible. Decorated and furnished to an exceptionally high standard, Appletree House provides its guests with a luxuriously cosy and restful sanctuary at a reasonable price. There are two double/twin rooms and a single room all decorated and furnished to an exceptional standard. Each of the rooms are uniquely decorated and spotlessly clean and the team are on hand to help you feel at home! If you need anything during you stay with us, please don't hesitate to ask! The most famous feature of Cambridge is its University which is one of the oldest in the world. However, there are plenty of things to see and do in Cambridge and the surrounding area once you have savoured the academic atmosphere. 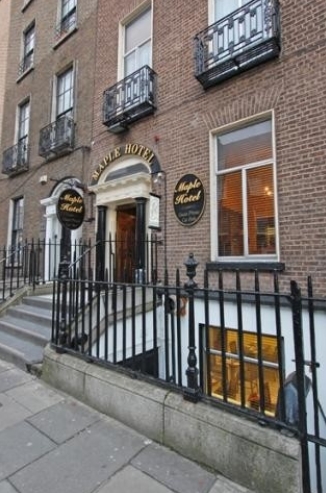 The Maple Hotel & Guesthouse in Dublin City is centrally located in the heart of the City on Gardiner Street, within an easy 5 minute walk from either Connolly train Station in Dublin or Bus Aras (central bus station) and only 10 minutes drive from Dublin Airport on the 'Airlink' bus service. Dublin's famous Temple Bar area and Trinity College are also within walking distance from this beautiful Dublin city centre hotel. O'Connell Street and Grafton Street all within a 5/10 minute walk. 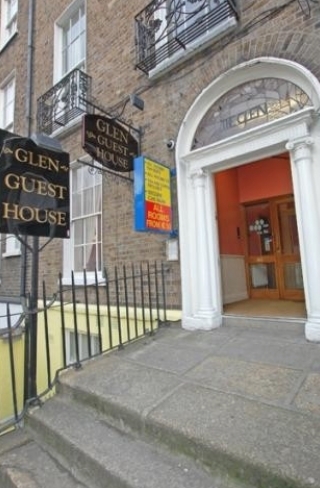 The Glen Guesthouse Dublin is an affordable, family owned Guest House located in the heart of Dublin City centre providing tastefully decorated B&B accommodation. 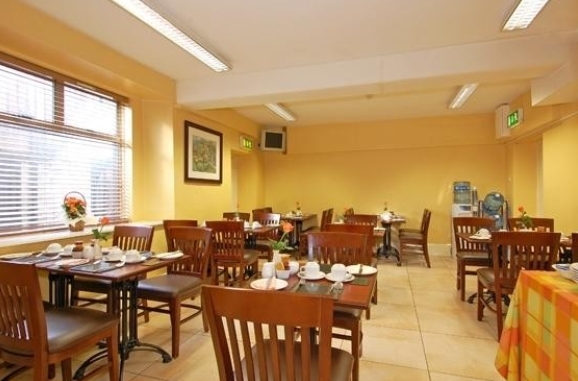 Situated in North Dublin only half an hour from Dublin Airport, minutes from Temple Bar, Grafton Street, the IFSC and all major Dublin attractions - our Dublin Guest House offers tourists the perfect base from which to explore and discover the city. Remote control colour T.V - Direct dial telephone - Tea & coffee making facilities - Power showers - En-suite. The Glen Guest House Dublin rates include a freshly cooked full Irish breakfast each morning which is served in our dining room. Our T.V room which is open all day offers guests a homely, cosy haven to relax and escape the busy city. At The Glen Guesthouse Dublin our courteous, friendly staff will be happy to help whatever your query or request may be. 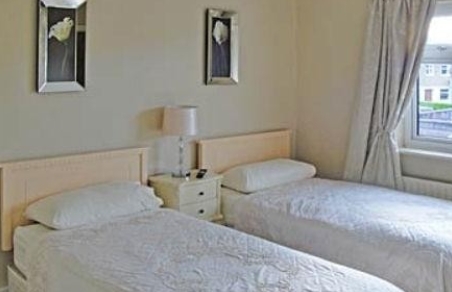 The Avondale Bed and Breakfast in Dublin City Center is conveniently located for tourists wishing to stay in Dublin accommodation thats is a five minute walk from Trinity College, Dublin Castle, Temple Bar, Grafton Street and O'Connell Street. Enjoy the Avondale Guesthouse Accommodation in Dublin where you will find friendly staff and a professional guest house in Dublin City Center. Interested in a tour further in to the Irish Countryside? – The Avondale Bed and Breakfast can help you with recommendations, suggestions and assistance with the booking to most regions of Ireland, from the Cliffs of Moher to the Ring of Kerry. 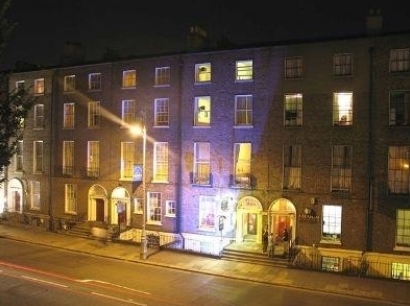 The Avondale House is centrally located in the heart of Dublin City on Lower Gardiner Street, within an easy 2 minute walk of O’Connell Street. Busaras the central bus station is only a 5 minute walk away. Sli Na Mara B & B, ideally located in the heart of Medieval Galway, run by George and Bridie Thomson, offering both comfort and convenience during your stay in The City Of The Tribes. 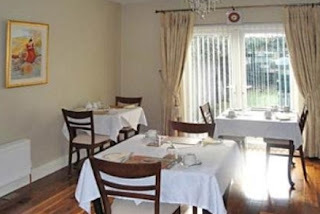 Sli na Mara offers a homely, friendly and relaxed atmosphere. The B & B prides itself on the personal service offered to all guests. Translated, Sli Na Mara means Way/ Path To The Sea with breath taking views of the Atlanic Ocean and Galway Bay not far from your door step. Sli Na Mara boasts four ensuite rooms for you to enjoy during your stay. Each room has spacious bathrooms, modern furnishings and generous storage space for those taking a well deserved long vacation. Tea and Coffee is available and prepared on request, we believe that Tea and Coffee facilities are impersonal when located in ones room and prefer the personal touch and a quick chat over a cuppa! The Fox & Hounds pub and restaurant is nestled in the heart of the picturesque village of Crawley. At The Fox and Hounds you can enjoy real ales, wines, cocktails and spirits in the bar, sumptuous food in our 50 seater restaurant or relax in the tranquility of our beer garden. The Fox and Hounds has recently extended its hospitality by converting its stables into four impressive chalets. Each has an en-suite bathroom, colour TV and fridge. Each chalet has been named after the species of ducks that visit the local pond. Mandarin, Philippine, Gadwall and Rosebill. Offering bed and continental breakfast but remaining separate from the pub allows the occupier to choose their type of stay. The pub is an ideal place for functions with the opportunity to stay over. And with us only being 15 minutes drive from the centre of historic Winchester, is the ideal venue to travel to and from when visiting this beautiful city. The Old Chapel was originally built as a Baptist Church in around 1836. It has been carefully restored and updated to provide quiet and relaxing Bed & Breakfast accommodation. 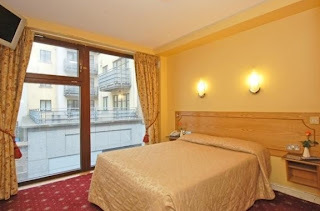 The high ceiling and huge decorated glass window make this a distinctive and unique place to stay. The décor is complemented by a full size dining table and chairs, as well as a large wardrobe and chest of drawers. A pine dresser contains china, glass and cutlery so you may eat in if you wish. There is a digital TV with DVD. We will provide everything you need for a Continental breakfast to be eaten whenever you wish. If you’re staying in the Family Room we’ll provide the ingredients for a cooked breakfast. If you wish to explore the New Forest by bike we know a very good bicycle hire shop who will deliver and collect from the Old Chapel. The Old Chapel is in a quiet lane on the edge of Sway village which has its own shops, post office, and an excellent pub. The New Forest is on your doorstep, with cattle grazing, and ponies and donkeys wandering a few yards away. 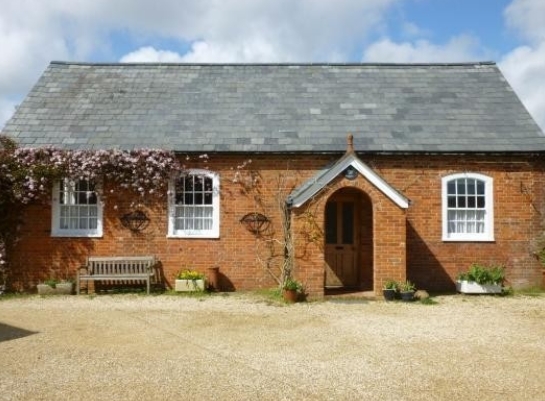 Brockenhurst, Lymington and the coast are all a short drive away. The area is excellent for walking, running and cycling. The shops and nightlife of Southampton and Bournemouth are easily accessible by road and rail. Just 10 minutes’ walk from the city centre, an elegant residential street in the heart of the New Town, a UNESCO World Heritage site. There is only one room B&B, so you can relax and be yourselves in a light and peaceful room and en suite bathroom with rainfall shower and luxurious bath. The sitting room is yours to enjoy: comfortable sofas, books, TV/DVD - you can even put your feet up on the coffee table, that’s what it’s for! Whatever you choose for breakfast is cooked to order in the dining kitchen. Tanamara Guest house is situated less than a mile outside the historic market town of Retford in Nottinghamshire and has been established since 1988. With the warm, friendly service Tanamara Guest House provides that ‘home from home’ atmosphere and ensure that your stay with us is a comfortable and as relaxing as possible. The rooms are all individually decorated giving a sense of uniqueness and come with tea and coffee making facilities and colour TV’s with Freeview. Twin and Double rooms come with en-suites providing you with your own shower, toilet and wash basin. There is also a family room/bridal suite downstairs allowing families and newlyweds even greater luxury. Elderly and disabled guests say they love this room too as there are no stairs to climb. The lounge provides a television and invites you in to read, relax and rest or just chat. You can even challenge a friend or relative to a game of chess! Continental breakfast awaits you in the morning with a varied array of cuisine from fruit, tea cakes, toast, cheese, yoghurt and cereal and of course the obligatory tea and coffee! There is also a microwave available should you wish to cook. If you are looking for value for money Tanamara Guest House is the place to be. Starting from just £25 per person per night you will rarely find a more comfortable place to stay. Dolphin Guest House is a charming Victorian house situated in the beautiful coastal town of Looe overlooking the estuary and ancient woodlands. Dolphin Guest House offers free parking nearby to their guests. 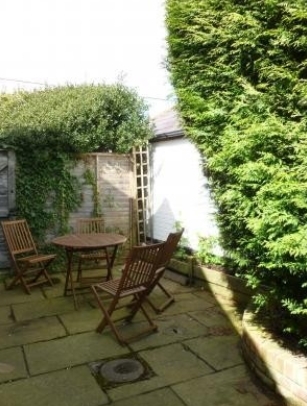 Close to public transport and a short level stroll to the town for shops, restaurants and beach. 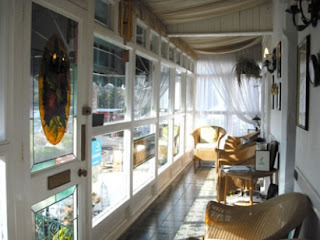 Why not have a Sundowner drink in the licensed sun and guest lounge before you go and explore Looe's many eating places. Choose from fish and chips on the beach to quality dining overlooking the quay. 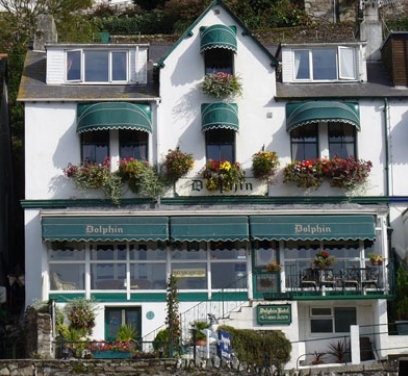 Dophin Guest Houses’ breakfasts use the finest Cornish produce sourced locally where possible. Choose from a selection of fruits, cereals, followed by your choice of cooked breakfast. Dietary needs are catered for including vegetarian and gluten-free. 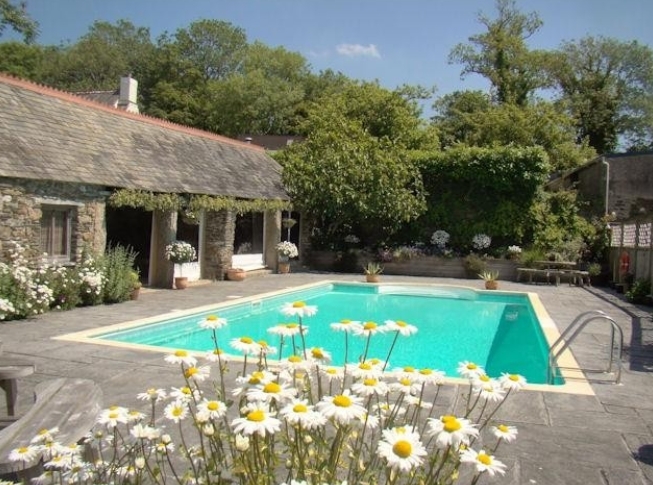 Ideally located for exploring all that Cornwall has to offer including Eden Project, Lost Gardens of Heligan. Resparveth Farm is an ideal place to spend your holiday at a beautiful rural working farm which is situated between Truro and St Austell. 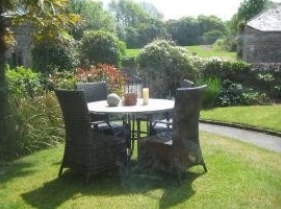 Close to A390 and 10 minute drive to A30, central for many attractions. There's so much to do, see and explore while on holiday in Cornwall. With the longest stretch of continuous coastline in Britain, you’ll discover tiny Cornish fishing villages, secret coves, spectacular beaches, sweeping bays and dramatic cliffs, plus beautiful moorland and stunning countryside. 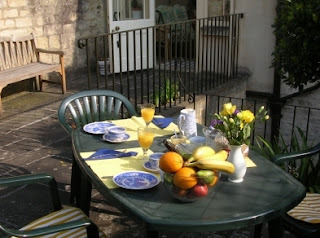 Resparveth B & B offers a continental / full English breakfast. 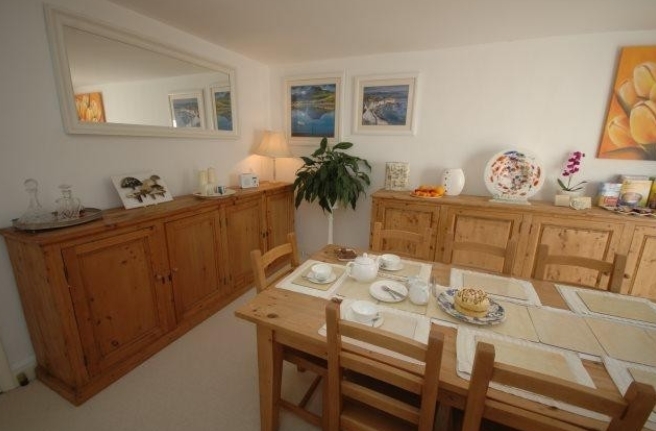 Puffins is beautifully situated just 200 yards from the fine sandy beach at Trevone, in a very peaceful setting well away from the road and the bustle of modern life. From the front of the house there are great views of the sea and surf, the beach and the village rooftops with fields beyond. 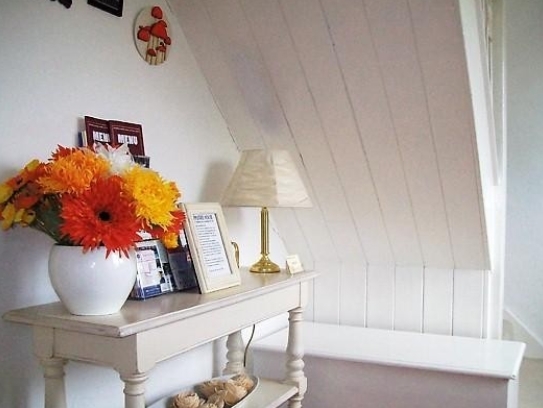 The Bed and Breadkfast accommodation is a self-contained loft studio on the second floor of our family home. 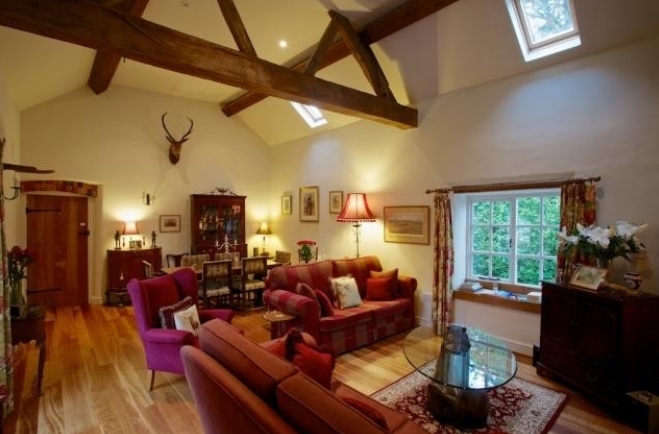 The room is comfortably large and open plan with sloping character ceilings. There is a lounge area with 2 sofas and a digital tv, a central breakfast area and, at the other end of the room is a double bed (which can be separated into 2 singles) and a single bed. A cot is available and a high chair for small children, and one of the sofas is a futon which can be converted into another double bed. The newly fitted en-suite bathroom with ceramic tiled flooring has a shower, toilet and basin... all finished to a high standard. Trevone Bay is a small village on the beautiful North Cornwall Coast, with houses running down to a clean and safe sandy beach popular with surfers and bathers... and it’s just 2 minutes walk from our front door. At the top of the beach the ‘Rocky Point’ surf shop hires wet suits and boards and sells all the usual beach requirements; he even does a decent cooked breakfast in his cafe. The cliff walks locally are spectacular... the coastal path around to Padstow (approx. 2½ hrs) takes in the most amazing views and is well worth the effort. Once in Padstow there is plenty to see and do including the Lobster Hatchery, speed boat trips out to the mouth of the estuary and a good range of clothes and art shops to mull around in the town. There is also a ferry which runs regularly across to Rock on the other side of the river. Having spent a hard day sunbathing, sightseeing or shopping what better way to relax and watch the sunset than from the terrace on the front of the Deganwy Guest House? 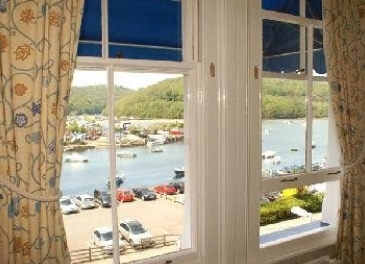 Facing west across the estuary of the River Looe and it’s wooded valley, The Deganwy is perfect for enjoying some fabulous sunsets across the estuary with a drink from the well stocked residents' bar. The Deganwy is in East Looe, close to the bridge for West Looe and Polperro. 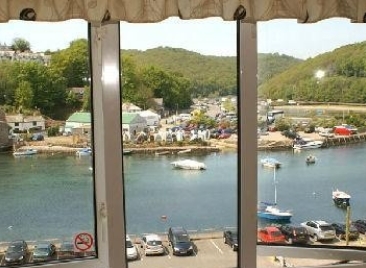 With 3 minutes walk from the railway station and 2 minutes walk from the main town the Deganwy is ideally situated to enjoy Looe, its delightful beach and the finest that South Cornwall has to offer. There are a variety of rooms (double, twin or family) all with either en suite or private bathrooms, free wireless internet access and most with superb views. 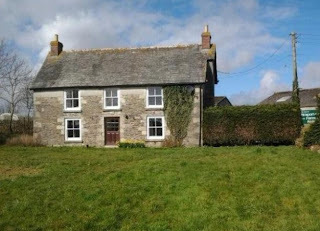 Sheviock Barton is situated in the centre of the small unspoiled village of Sheviock, directly opposite the thirteenth century church. It reputedly stands on the site of the earlier medieval manor house of Sheviock. The current 300 year-old house has been totally but sympathetically restored, with full central heating. All around there are large gardens and grounds, with masses of parking and an adjoining paddock. Full English breakfast is served in the large farmhouse kitchen, with oak beams, flagstone floors and four-oven AGA. 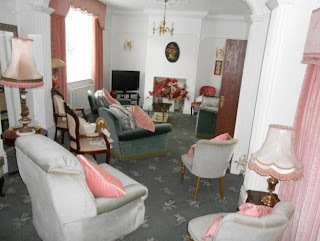 Guests have their own relaxing sitting room with flagstone floor, beautiful Laura Ashley wallpaper, with heavy calico curtains, off-white sofas and church candles. Well established gardens surround Sheviock Barton, and a large paddock is directly adjacent. That our daffodils bloom in January is proof of the lovely climate we enjoy in Cornwall. Whatever the time of year, the gardens are guaranteed to delight our guests. Guests are welcome to enjoy all the gardens, whether the small front garden, or the larger gardens to the rear. Sheviock Barton likes to offer the home-from-home approach and, with the 'secret key' you can come and go as you please. Tim and Linda Jee, the owners of Horseshoe Cottage Farm, provide a warm welcome and are well known for their generous hospitality and quality of food. Guests are treated as friends. Locally sourced produce is used and many of the vegetables come straight from the kitchen garden. Dinner is served in one of two dining rooms and is an occasion not to be missed. Outside visitors are welcome to join guests for dinner with prior notice. Linda’s free range eggs and home made bread and preserves ensure breakfast is a feast. All the bedrooms have bathrobes, luxury organic toiletries, hair dryers and a fully stocked tea / coffee tray. Pure cotton sheets, down duvets and large fluffy towels all add to the luxury experience. Visitors have the use of the elegant drawing room and for cooler evenings, a log fire will be lit in the inglenook fireplace. 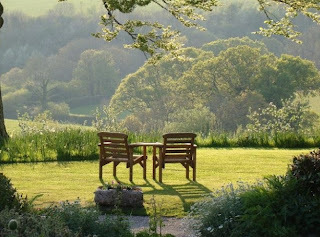 In the summer, dinner may be taken on the terrace overlooking the garden and fields beyond. Located 30 yards from the Hallgates entrance to Bradgate Park, an 800 acre estate and the site of the ancestral home of the‘nine day Queen’, Lady Jane Grey. Horseshoe Cottage Farm provides a luxury accommodation haven for both business people and pleasure seekers. Take beautiful walks through the bluebell-filled Swithland Woods or Bradgate Park to see the deer. Celyn Parc is the local post office and store for the small village of Blaencelyn - close to the Cardigan Bay Heritage Coast near Llangrannog, West Wales. It is situated about midway between Cardigan and New Quay. 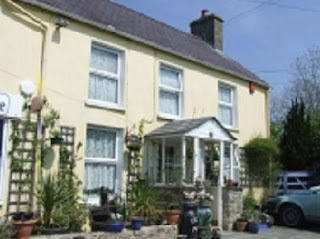 Celyn Parc is run by Vicki Garner and Bob Weaver, it offers cosy and well appointed bed & breakfast holiday accommodation. 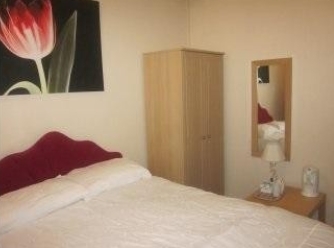 Rooms are comfortably furnished to the highest standard with a colour TV and tea and coffee making facilities. 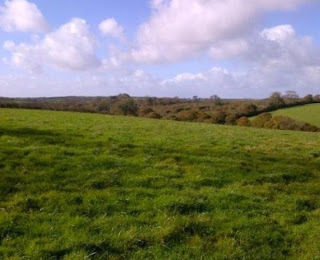 There is a lovely view to Cwmtydu and Cardigan Bay across the surrounding fields from the sun deck at the rear of the property. The Sun Deck at the rear is for the use of guests. Binoculars are provided to help you see some of our amazing wildlife. All the food at Celyn Parc is made by Vicki on the premises, mostly from locally sourced ingredients. Vicki also makes a wide range of preserves, cakes and homemade soups. The Cardigan Bay coast is wonderful walking country and Celyn Parc is ideally situated to explore some of the finest coastal walks in Wales. Evening meals are also available on request from £12.50 for 3 course meal depending on numbers. All meals are home cooked by Vicki using fresh local produce whenever possible. 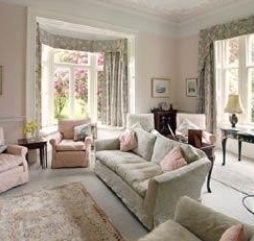 Ladyburn, with its extensive and beautiful garden which includes several NCCPG National Rose Collections is a private and secluded Country House Bed and Breakfast and just the perfect place for a short break to unwind and be wonderfully looked after in beautiful surroundings. The bedrooms at Ladyburn are extremely comfortable. Each room has its own distinct character evoked by luxurious fabrics, antique furniture, pictures and prints. The atmosphere is one of calm, rural seclusion and many of the bedrooms look out over lawns and garden to fields and woodland. A full cooked Scottish breakfast, including Aga cooked porridge, eggs just as you would like, bacon, sausage, haggis, tomatoes, mushrooms and all sorts of good things - breads and toast, homemade jams and marmalades, fruit and fresh tea and coffee. There are several good places to eat out in the surrounding villages all within 4 miles of Ladyburn. Set in a rural paradise of "the most beautiful valley in Ayrshire" in this most gentle part of Scotland on the edge of the magnificent estate of Kilkerran, Ladyburn is surrounded by mature wild and formal gardens and the most intriguing pattern of woods and fields. 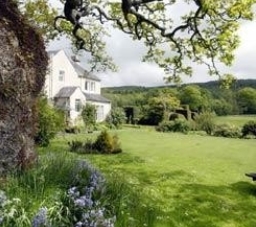 Moreover Ladyburn is named No1 in The Times' list of places to stay with gardens. And to see more of the garden visit YouTube. This was filmed by the BBC for the Beechgrove Garden Programme. 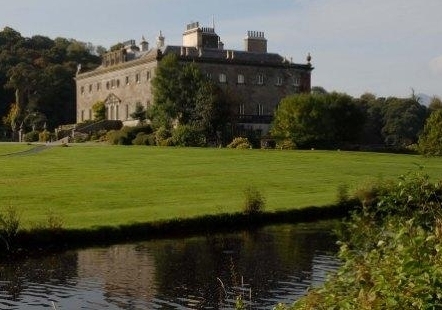 Originally the dower house for the Fergussons of Kilkerran and dating from the 1600s, it is the home of David and Jane Hepburn and their family who invite you to share it with them. Lantallack is a lovely old Georgian farm, set in 40 acres in the heart of south east Cornwall, close to the Tamar Valley and bordering an area of outstanding natural beauty (AONB). Step back in time - life goes slowly here. Hens in the orchard, delicious breakfasts in the walled garden with apple juice from our own Cornish apple trees, sausages and bacon from our own pigs - all produced here using organic methods. Other produce is sourced locally/organically wherever possible. A straw-yellow drawing room with blazing log fire, two grand pianos and books galore, an inspiration for musicians’ artists or anyone wanting to combine fun with peace and tranquillity. 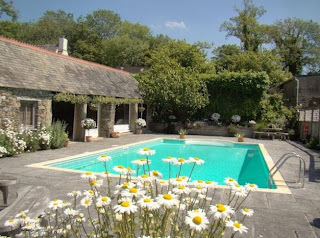 And to top it all, a fabulous outdoor solar-heated swimming pool open from May to September what more could you want? 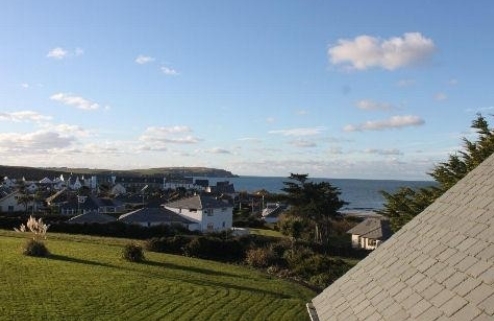 Lantallack lies adjacent to an Area of Outstanding Natural Beauty and the River Lyhner and is close to many magnificent Cornish beaches, with opportunities for swimming, sailing and windsurfing. 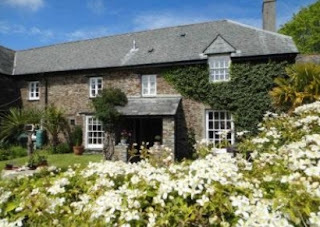 The fishing villages of Cawsand and Kingsand and the glorious 5 mile long beach Whitsand Bay are nearby whilst a short trip in the car will get you to the National Trust properties of Cotehele, Lanhydrock and Saltram. Both Bodmin Moor, Dartmoor and Eden are only 30 minutes away and if you fancy a game of golf, we are just 10 minutes from the International Golf Course of St. Mellion. From May to October our fabulous outdoor heated swimming pool is open to residents. Only 20 minutes from Plymouth, it’s a place for the free-spirited, for those who yearn something different and special; beautiful views across undulating countryside and wooded valleys, big open skies and unforgettable sunsets. Its peaceful situation makes it an ideal retreat for a truly relaxing holiday. Nestled on the edge of Kilmichael Forest, Skookum House Country B & B is set in 4 acres of peaceful tranquillity just off the historic Kilmichael Glen. Skookum House was designed and built by the owners with the specific intention of offering a quality bed and breakfast. 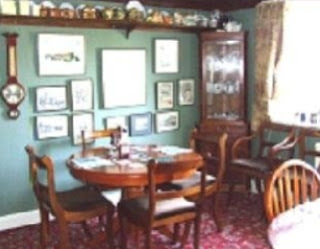 Breakfast is served in the dining room, and ranges from cereals and fresh fruit salad to a traditional full Scottish, and a selection of teas and freshly brewed coffee. 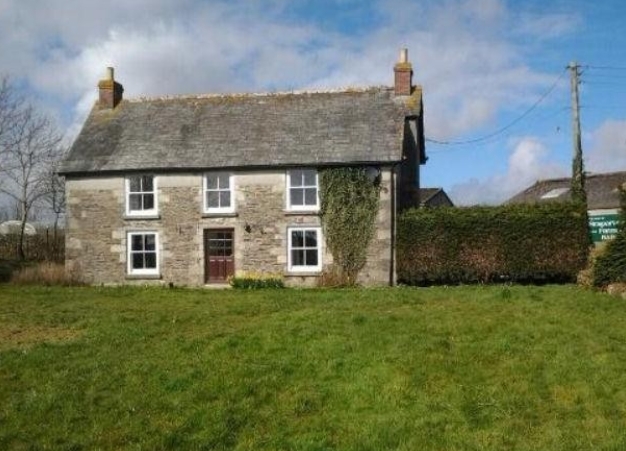 Skookum House Country B & B offers you an ideal holiday base whether your interests are fishing, walking, cycling, mountain biking, archaeology, photography, painting, bird watching or just plain relaxing. Skookum House is the perfect location with no traffic noise, no light pollution and lots of help on where to go and what to do. Although the B & B is only 4 minutes drive from the village pub and restaurant and 7 minutes from the main town of Lochgilphead, Skookum is quietly surrounded by history and nature. 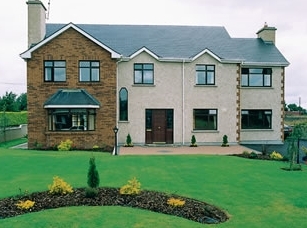 Doogarry B & B is a luxurious and spacious home located on the N60 road and within walking distance of Castlebar town centre. There are three spacious bedrooms with en-suite bathroom facilities including TV, hairdryers and tea/coffee making facilities in the rooms. Doogarry B & B is Failte Ireland Approved and members of Town and Country Homes Association. 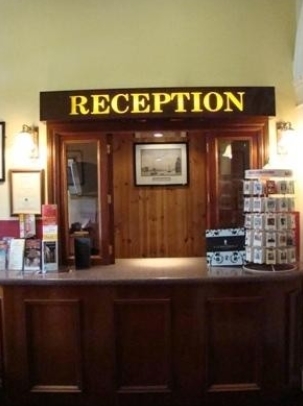 This B & B is an ideal touring base for County Mayo with nearby attractions including the Ceide Fields, Knock, Connemara, Ashford Castle, Westport, Croagh Patrick and Clew Bay. Doogarry B & B is located in close proximity to activities such as gold, fishing, cycling and walking. Castlebar is the county town of, and at the centre of, County Mayo in Ireland. It is Mayo's largest town. A campus of Galway-Mayo Institute of Technology and the Country Life section of the National Museum of Ireland are two important local amenities. The town is connected by railway to Dublin and the neighbouring Mayo towns of Westport and Ballina. The town has several small satellite villages around it, such as Breaffy. The main route by road is the N5. Step back in time and enjoy the spacious elegance of Sir Walter Elliot's House as filmed in the 1995 BBC production of Jane Austen's Persuasion! This amazing Regency town house has been restored to how it might have been in the 1810s with a few mod cons such as bathrooms and central heating and WiFi discretely added to make your stay authentic yet comfortable to the latest standards. 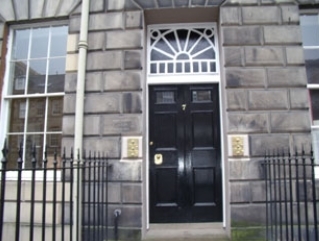 The house is directly opposite Sydney Gardens, and the level walk to the city centre will hardly take you five minutes. 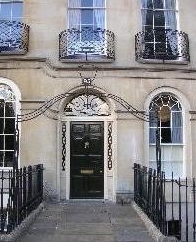 We are some 600 yards from the famous Pulteney Bridge, and from there you can enjoy the excellent shopping, restaurants, museums and architectural sights for which Bath is world-famous. 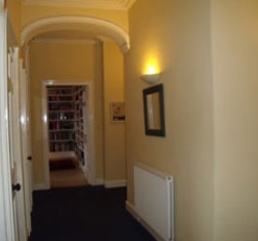 The house is perfectly located for your stay in the Georgian City, your visit to the Roman Baths, and your relaxation in the 21st Century Thermae Spa!